I cannot express any word for this pack. Very awesome work, easily one of the best 16p textures out there (for me). I'm not bashing or anything btw. I love this pack, but a few things need some changing so the textures flow better. Maybe the dark to light gradient isn't the best look for them. It still gives it a cut-off feel. If there's some grass on the side they would look great. I like the simplistic feel too it (used to use the clean designs pack), but it has an unfinished feel to it. Like if you build a house with smooth stone and stand back it just doesn't look right for some reason. Maybe give it more of a different color that doesn't blend with sand too much. I almost walked past clay a few times when walking on the beach. I kinda like the idea with the painterly pack where you can give it a completely different color like a brown/crimson color like red clay. Everything else is fantastic. LOOOOVE the wool and water textures. 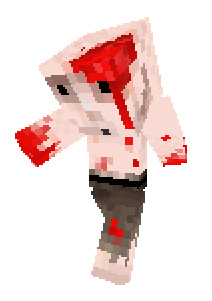 - Zombie Pigmen added. All mobs done! the pillow ? You use them a lot (like in you road) and I find this very cool. Can you teach me please ? An outstanding texture pack, without question, and one that will remain in my texture pack rotation for some time. Great work, OP. A tiny, almost infinitesimal criticism, however: if the moon is a sphere, we shouldn't be able to see stars through it. That is, the dark part of the moon is (presumably) in shadow, but it's still there, yes? It looks like there are one or two stars that should be removed. Like I said, the tiniest of criticisms, and one that you should probably just reply to with "Fix it yourself, jackass!" Omg! I love the look of this pack! :] It is completely original! I present to you a diamond. Great work! Love this pack. Well when you place the sign on halfblocks there is no signpole. Also the pillows are cloth, but the stuff in the road (I am assuming you're talking about outside) are half blocks. Not sure. I'm not good at troubleshooting mods & texture patcher problems. Are you using the ingame texture selector? I am indeed. I put the Jolicraft .zip folder directly into the texture pack folder, same as any other 16 bit pack. Xeldnar, are you running any mods? If so what are they? It's the launcher. Everyone is having this problem. At first, I liked the pack, but not enough to love it. But as I saw the showmanship that went into showcasing it... I couldn't help but download. It looks absolutely great. To anyone making a pack right now, keep that in mind... I hate the topics that only have a video or a few screenshots along with it. If you really want people to download your pack, make the post look good otherwise your pack won't look good. Have you ever seen thore palls off pollen boken up?